100’s of units on display at special show prices! Off-Road Express, where the variety of powersports products is second to none. In all of Erie, PA, there isn’t a friendlier or more knowledgeable staff than ours. We’re happy to help you find either the perfect recreational vehicle or the parts you’ve been looking for. We are family-owned and operated and conveniently located in Erie, PA. Off-Road Express can provide you with the latest and best in powersports products to make your outdoor living more enjoyable. From the most recent in ATV technology to the hottest new snowmobiles, we can help you find the recreational vehicle that’s made for you. Combine this wide array of selections with our friendly and knowledgeable staff, and we’re convinced Off-Road Express will become your only stop for all of your powersports needs. Willandale Golf Cart Sales is an authorized Cushman®, E-Z-GO, Textron Off Road, and Yamaha Golf Car dealership serving the Ohio area. We are proud to carry a large selection of new and pre-owned inventory. 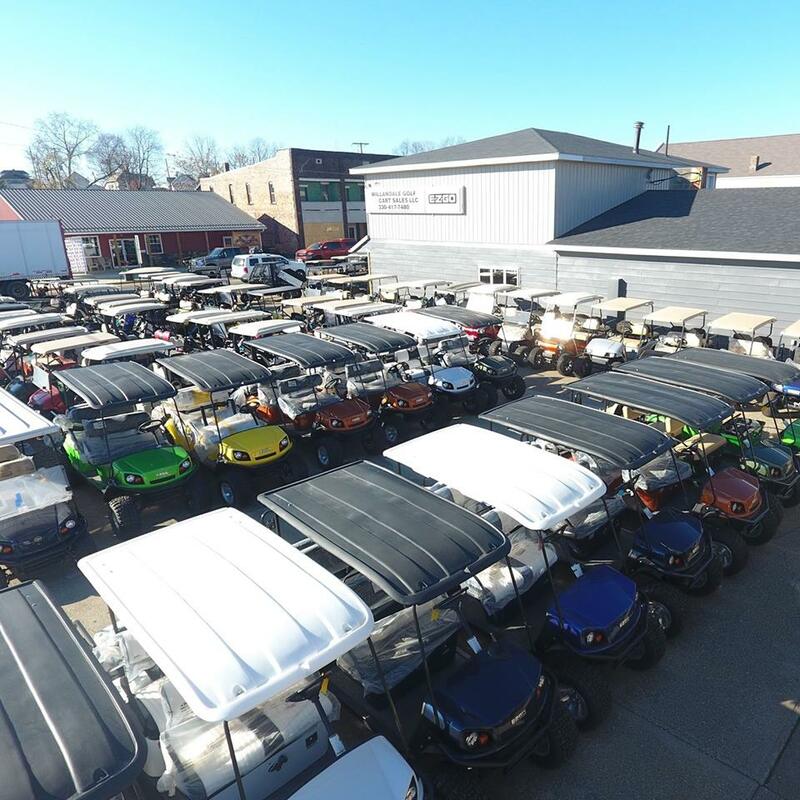 When you are ready to invest in a new golf cart, ATV, or UTV our friendly and knowledgeable sales, financing, service and parts departments are prepared to make sure your experience is outstanding, from assisting while you’re making your choice to ongoing maintenance and customization. At Willandale Golf Cart Sales, we value the opportunity to create a long-term relationship with our customers, and we do that by giving you the best customer service available. Plan on attending this year’s Erie RV Show? Why not make a day of it and Visit Erie, PA!